Binary Scam Alerts is posting an immediate SCAM notification in regards to the iFollow Club and Alex Tremblay. This is a fake social trading signals platform with bogus Fiverr.com testimonials, and a phony timeline which promises auto-pilot earnings while you “kick back and watch your account balance multiply”. It seems several of our day-traders from Canada were searching Google for the Drexel Code scam, and stumbled onto this system through a paid news release service which has deceitfully bypassed the Google search algorithm and is now telling everyone this SHAM is a legit software and app. But our staff was sharp today and able to catch these cheaters red handed. So after an in-depth investigation, review and analysis of this misleading and fraudulent trade copier, we have reached some concerning conclusions. This system is a complete sham and fabrication, it is full of half-truths and lies and a confirmed binary options investment SCAM. 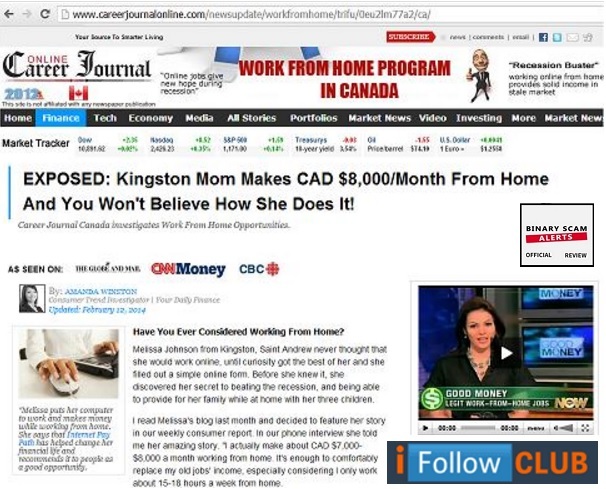 As you can see in the URL found in the red box in the picture below, it is clearly seen these cyber-criminals are targeting Drexel Code traders located in Canada through fake news articles boasting how a “stay at home mom makes $18,128 a month from home”. This is a filthy lie and complete fabrication. Furthermore, this article is packed full of SPAM links directing you to this piece of trash code which in reality is a recycled sales pitch designed to get you signed up with a slimy offshore and unregulated broker that will steal your money in the blink of an eye. Now to top it all off, they are using fake testimonials from cheap Fiverr actors to get people to think their system is credible. Well, that is actually something which is very easy to expose and you can immediately see how this method is employed. This system does not even have real person behind it, just some name (Alex Tremblay) so there is actually no one to take responsibility for their misdoings if exposed. This is an immediate red flag and should serve as a severe warning for anyone who has been approached with a similar offer. The iFollow feature is basically offered by almost every Spotoption-powered broker, with exception to the highly regulated ones who are denied this privilege. This person claims his account has made $3,573 in “less than 3 short days”, but I can promise you this advertiser is acting in cahoots with plustocks, an unregulated binary options broker owned by Owned by Almog LTD. Stoney Ground Box 1823, VC-100 Saint Vincent, Grenadines which is definitely not turning away clients these days. We have yet to ascertain if this is the actual broker doing the marketing directly, or less-than-scrupulous affiliates promoting a shady system that is designed to take inferior positions and intentionally lose your money. Either way, it doesn’t look good for these guys and they should be doing a better job of appealing to customers in a more honest fashion. As you progress you see the use of fake credentials and news logos such as Bloomberg, CNN, and BBC which is a classic scam tactic and in the more legit offers you will not see these things. The final nail in the coffin is clearly evident and when observing closely you will notice there is no software here. They are basically telling you to come in, register, fund your account with a very specific broker and use a feature the broker offers. There is no system or actual technology behind this rehashed sales gimmick and you should not expect to profit in any way by signing up for this stinky can of smoked mackerel. Technically speaking yes, because there is no software you just fund a trading account and check out the iFollow feature which is there anyways. We have previously advised our members and viewers to avoid the Free Money System and Walter Green (AKA Millionaire Blueprint), the Quick Cash System with Sarah Markel, Trade Tracker Pro and Derek Stone, Push Money App, and the Lie Detector Millionaire, and the Perpetual Formula App. These are currently leading the pack with complaints and grievances. It boggles the mind to see the amount and quality of cheap trading apps which are flooding the market these days. 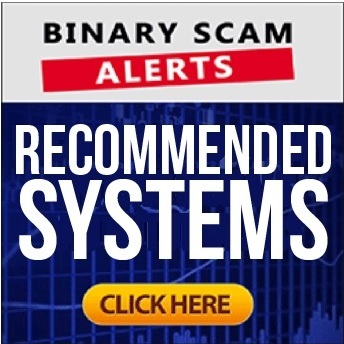 Only a few select systems such as the Binary Profit Method and NEO2 have passed our stringent credibility test and gained their rightful place in our recommended section. 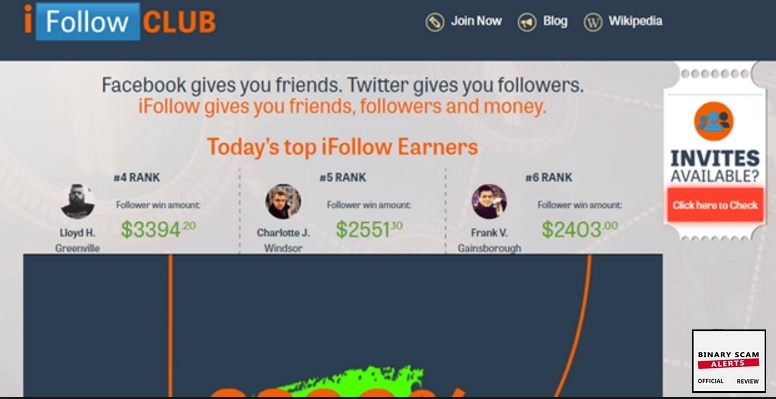 The iFollow Club and Alex Tremblay is a verified SCAM and not even a software. In reality it is not anything, except a snapshot of a feature most brokers offer anyway. It is designed to look as a separate system but in reality its nothing special and in fact something to be very cautious about. With signals or an auto-traders you can at least point a finger at someone and have a responsible party to blame. Trade copiers and social trading tools eliminate this option by disassociating and insulating the brokers and system owners by claiming these trades are taken on account of “someone else’s” recommendation. This is our primary concern with tools such as these. As always feel free to subscribe to our YouTube Channel and Like, Share, and Comment on our Facebook group wall.